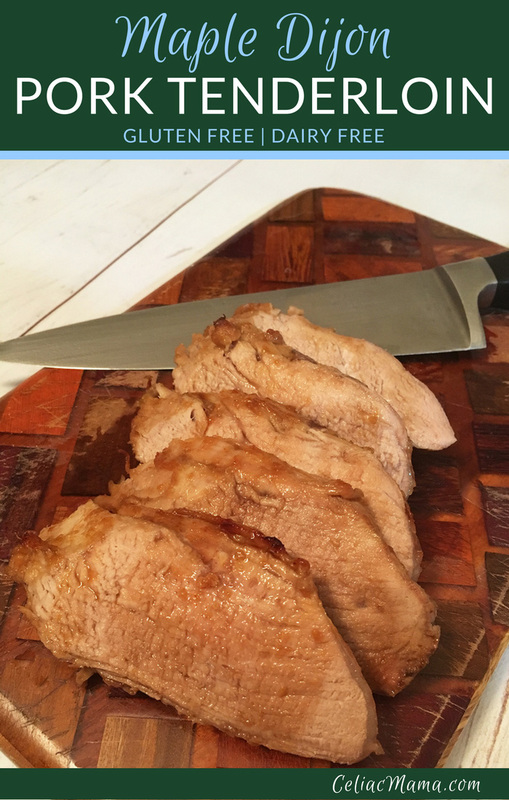 Maple dijon pork tenderloin makes an easy weeknight dinner that’s flavorful and kid friendly. My kids eat a lot of chicken and turkey for dinner and Mondays we eat plant-based dinners, but every so often I like to mix it up and offer them something different. 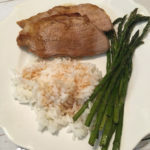 This week I made Maple Dijon Glazed Pork Tenderloin, a recipe I was first introduced to from my fabulous mother in law. I had no idea how they would react to it, but to my surprise, both of my little ones devoured it and my four year old asked for seconds! It’s a simple meal that takes 10 minutes to prepare and cooks for a little over an hour. So if you get home early enough during the week, it’s an easy weeknight meal. This recipe is gluten free, dairy free, nut free and egg free. It pairs well with creamy polenta and broccoli or served over rice. Place the pork in a shallow pan. I use a 13x9 pyrex pan. Mix all ingredients together and pour over the pork. Bake in the oven for 1 hour and 15 minutes, until the inside temperature reaches 145 degrees. Remove the pork from the oven and let it sit for 10 minutes. Slice the pork and serve on a platter with a gravy boat of the extra glaze. 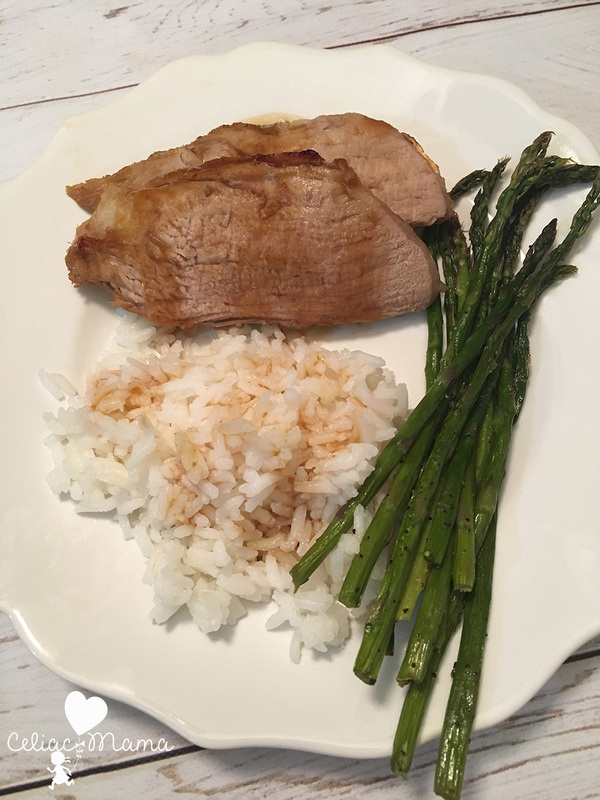 Toddler Twist: If you’re serving a little one that is not quite old enough to chew well, blend one serving of pork and rice (or oatmeal) adding a tsp of the glaze and one tsp of water at a time until you reach the desired consistency. Also consider adding in some pureed broccoli for a vitamin boost.